and NOT be on a starvation diet. What's Jorge's get-slim secret? Just 8 minutes of his unique strength-training moves done in the privacy of your home. A few minutes each morning is all you need to lose up to 2 pounds a week. Add the cutting-edge eating program that teaches you how to eat the right fats to satiate your hunger and cut your calories, plus a daily dose of motivational support from Jorge, and weight loss has never been easier! 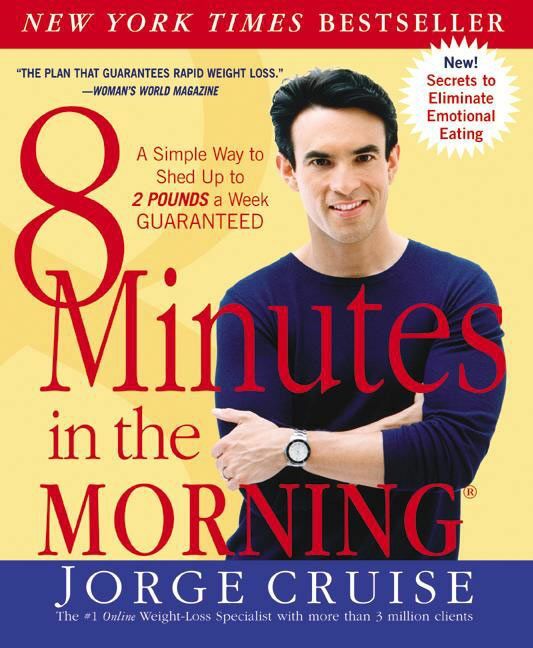 Plus, you'll find Jorge's brand-new "On-the-Go" Weight-Loss Travel Cards inside. So get ready to look slimmer, sexier, stronger in just 8 minutes!